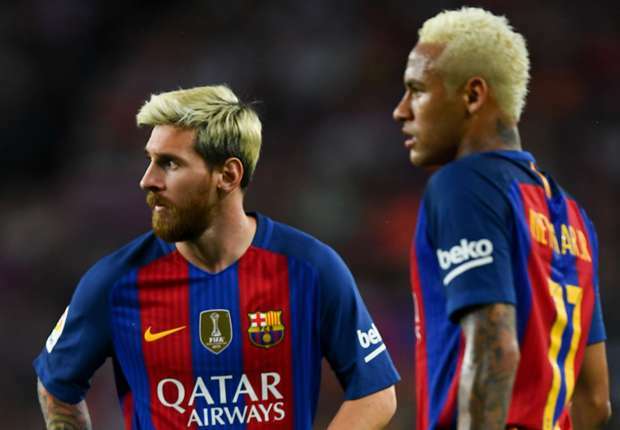 European football's governing body, UEFA has said that the body fears Barcelona stars Lionel Messi & Neymar may be denied entry visas into the U.K for the Champions league final in Cardiff this May if they qualify, due to ongoing legal battles with the Spanish government. Lionel Messi and Neymar have been embroiled in tax evasion court battles for over a year which has led to the resignation of former Barca president Sandro Rosell, with tax prosecutors alleging Messi evaded tax with offshore accounts while Barca hid the actual value of Neymar's transfer so as to reduce money paid to former club, Santos and tax given to the Spanish government. New laws in Britain could hinder people who have ongoing legal battles from entering the U.K and with Brexit set to be formalized, the entrance of non-British citizens into the U.K could become harder. "Neymar and Lionel Messi both have [tax evasion] procedures going on," UEFA President, Aleksander Ceferin told the New York Times. "This year, the Champions League final is in Cardiff. "Imagine if they did not let them in. "That is a big thing for us, if players from England can travel anywhere, but players from other teams cannot travel to [the UK]. "With free movement in Europe, it is much better. "If we see that players cannot enter because they have any sort of procedure ongoing then we will simply think if we should play our European matches there." He also talked about PSG/Ivory coast player, Serge Aurier's incident during the group stages, when he was denied entry for a match against Arsenal. "I was very disappointed when Aurier, from PSG, was not allowed to enter England, That will worsen when Brexit happens, especially if the reasons were as formal. "We could have a serious problem."